Zavora hotels, accommodation and places to stay. Guide to where to visit and where to stay in Zavora Mozambique. Information on Zavora Mozambique, location of hotels, lodges, camp sites, guest houses, bed and breakfasts and places to stay in the Zavora area of Mozambique. Distances from major attractions to Zavora and information about shops, fuel and facilities. 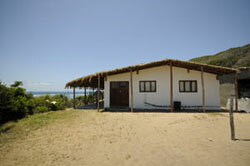 Zavora is set in the unspoilt scenic province of Inhambane, Mozambique. 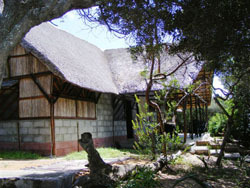 Nhanombe Lodge offers a rustic, Mozambique-style feel in a bush-camp setting. The relaxed vibe of Mozambique is ever present here, giving all a chance to let loose and unwind.